An Engineer by Qualification, an Artiste by Interest, Crazy Mohan is a Humorist by Birth. Crazy Mohan’s distinctive brand of humor has enlivened the life of millions who atlast found a way to laugh, despite bomblasts, changing political scenario, unsteady share markets, nagging in-laws and never ending mega serials. Authored 24 rip roaring dramas for Crazy Creations, Kathadi Ramamurthy, S.Ve .Shekar, Cheena-Varadarajan and Thillai Rajan. Done major roles in 15 plays written for his own Crazy Creations, staged over 5000 shows in every corners of Tamil Nadu, Major cities of India as also USA (coast to coast Thrice), Singapore, Hongkong, Indonesia, Kuwait, Gulf countries and Srilanka. This includes the current hit play “Chocolate Krishna” staged over 160 times so far in record time. Produced, Acted and Written 10 Hillarious TV Serials in leading channels in India and Abroad for over 500 weeks. Written Script for 29 Super Hit films â€“ 10 for Dr Kamal Hassan including Humor Epics such as AVVAI SHANMUGI, ABOORVA SAHODARARGAL, MICHAEL MADANA KAMARAJAN, TENALI, VASOOL RAJA MBBS., ETC. Rajnikanth’s ARUNACHALAM. Authored over 150 short and serial stories in leading Magazines like Ananda Vikatan, Junior Vikatan, Kumudam, Kalki and Kunkumam including “KPT Sirippu Rajan” and “Kicha” Series. I am happy to bring to your notice that my book “CRAZY ABOUT RAMANA” has been published by Ramana Maharshi Centre for Learning, Bangalore and released by Dr Kamal Hassan during the 777th Show celebrations of Chocolate Krishna. This book may be said to be my spiritual and cultural autobiography. I have spoken about my experiences to Sri G. Kameshwar, who has recorded it and translated it into English and serialized it in the magazine, ‘The Ramana Way. This is now available in the book format, “CRAZY ABOUT RAMANA”. Anybody who wishes to order the book can do so by going to the link www.eganesha.in/crazyaboutramana. I understand from the publishers that the cost of shipping books overseas, for example to US would be approximately about Rs.660/- for a single book. But the cost will come down if the books are sent as parcel, i.e., Rs.2,400/- for 10 books. So if any of you is interested in making a bulk order or if some of you would like to get together and make an order and then distribute it, you can opt for a package to be sent. I would like to inform you that the proceeds from the sales of these books will be going towards taking Indian cultural and value education to poor children studying in Government schools. I have donated my royalty rights also to the above proceeds. “Avvai Shri Shanmugam Annachi’s troupe, one of the very popular theatre groups in those days, in which I also acted, took 20 years to complete 1000 shows. It is indeed a great achievement for Crazy Mohan and his team to stage 777 shows of Chocolate Krishna alone in just 7 Years that too with packed houses and good collection” Said Kamal Hassan presiding over the celebrations of Chocolate Krishna at Narada Gana Sabha Hall last Saturday. He assured that he would partake in the 1000th show as well. Crazy Creations also chose the happy occasion to honor veteran humorist Chiralaya Gopu. When Crazy Mohan said that it was the perfect harmony of his friends that made this Himalayan task possible, Kamal Hassan recalled that it was such a harmonious relationship between Veteran director Sridhar and Gopu that reason for some of the great films produced by Chitralaya. 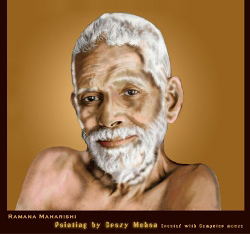 Tamizh Venbas on Ramana Maharishi titled Ramanayanam written by Crazy Mohan was released by Kamal Hassan in E Book format through Swathi Soft Soltuions. He also released “Crazy about Ramanar” – a book which is a collection of conversations of Crazy Mohan about Ramanar with his friend Kameshwararn. Institutions and Sabhas which staged Chocolate Krishna maximum number of times were honored along with senior members of the troupe. Nalli Kuppuswamy Chetty also spoke on the occasion which was anchored by S B Khanthan, the director of Chocolate Krishna.